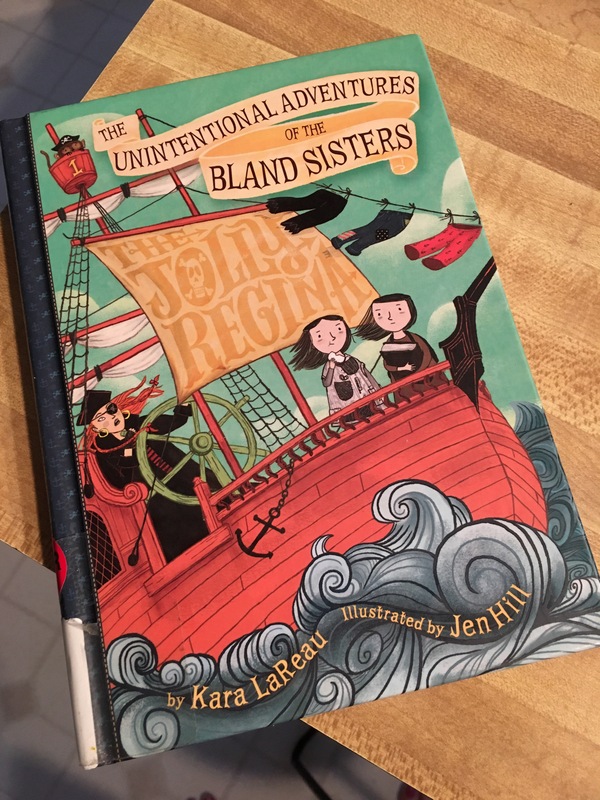 This is the first book in the series “The Unintentional Adventures of the Bland Sisters”. The sisters are named Jaundice and Kale and are from a town called Dullsville. They go on a pirate adventure which is the most exciting thing they have done. They have the adventure all girls would like to have. I love the characters, the setting, the illustrations. I liked the book so much it is hard to pick favorite things. I think everyone should read it. It is a good adventure to go on. Previous Post How many books? Wonderful review! I will check it out.